Four representatives of the Farming, Affordable Housing, and Conservation efforts of Hukilike No Maui met with Governor Ige on July 28, 2018 to present our vision and request his support. 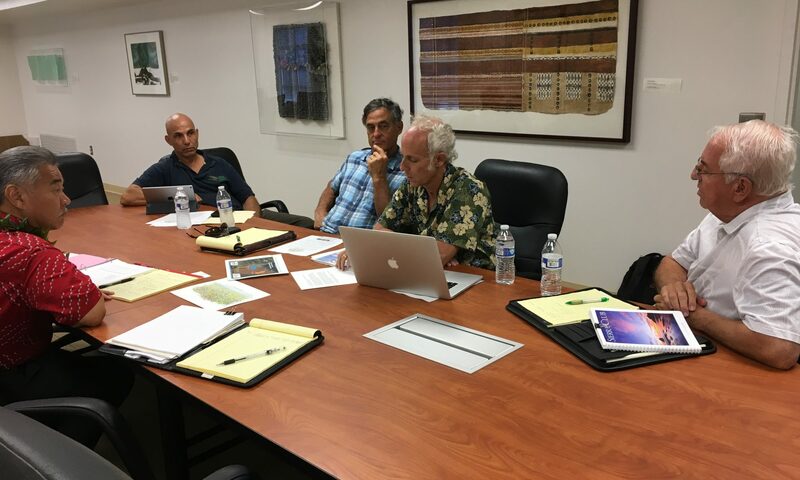 There was good discussion and the meeting should help in moving the work forward to get the former cane lands on Maui into regenerative agriculture, affordable housing in sustainable communities, and conservation of sensitive areas. For Hukilike we had Vincent Mina (President of Hawaii Farmers Union United), John Dobovan (President of the Haleakala Chapter of HFUU), Stan Franco (Housing Chair of FACE Maui), and Rob Weltman (President of Sierra Club Maui Group). At the recommendation of the Governor’s office, a further meeting was held with Chairperson Scott Enright of the Department of Agriculture on September 26, 2018. That meeting was attended by John Dobovan, Stan Franco, and Rob Weltman. HONOLULU, HAWAIʻI (Tuesday, April 24) — Maui residents presented a petition with over 1,000 signatures this morning to Alexander & Baldwin, asking the corporation to make 15% of their Central Maui lands available for local food production, affordable housing, and conservation. 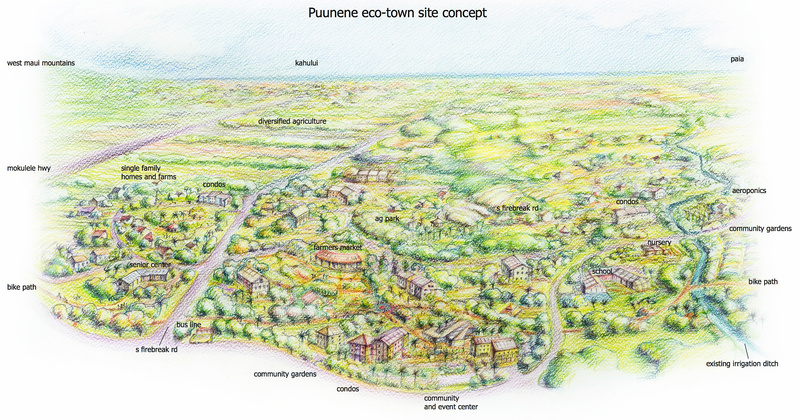 The petition, started by the Hukilike no Maui: Together for Maui, asks A&B to invest in Maui’s future by selling or donating approximately 5,000 acres to parties interested in small scale agriculture, affordable housing communities, and conservation easements. “Our message was very well received today by A&B,” said Angel Mau, a Hukilike coalition member who attended the shareholder meeting. “We were even able to talk with Christopher Benjamin, Alexander & Baldwin’s CEO and president, after the meeting. He expressed his gratitude for us sharing our ideas and we look forward to meeting with them again soon,” said Mau. “A lot of Maui residents are concerned about the future of the 30,000 acres in Central Maui that were formerly sugar cane,” said Lucienne De Naie, longtime Huelo resident and coalition member who also attended the shareholder meeting. “This coalition is really flipping those concerns around and creating a positive conversation about Maui’s future. Today’s meeting helped us confirm that it is possible,” said De Naie. “Like all corporations A&B is largely focused around maximizing their profit for their shareholders, but they have supported the community in the past and we hope they continue to do so in the future,” said Jerry Riverstone, a recent Maui resident and coalition supporter. “They expressed their intent on taking the future of Hawaiʻi seriously at the meeting today and working in partnership with the community. I am optimistic that this coalition will be able to work closely with A&B to create a holistic, sustainable future for Maui and beyond,” said Riverstone. After the meeting, Maui residents returned to share with the community the outcome of the meeting. Residents gathered outside the A&B office in Kahului to hear the news and stand in solidarity with the over 1,000 petition signatures and a dozen local organizations expressing their support for a brighter future for Maui. 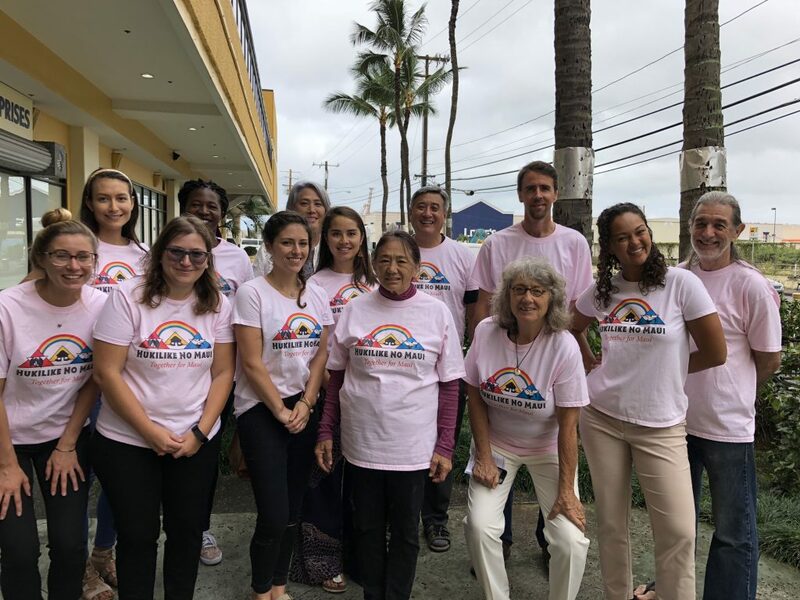 About Hukilike no Maui: Formed in 2017, Hukilike no Maui is a coalition of affordable housing advocates, local food production advocates, environmentalists, and Maui residents that recognized the need to unite to advocate for the sustainable future of their island. The coalition aims to create space for Maui’s communities to be an active part in the future of A&B’s former sugar cane land. 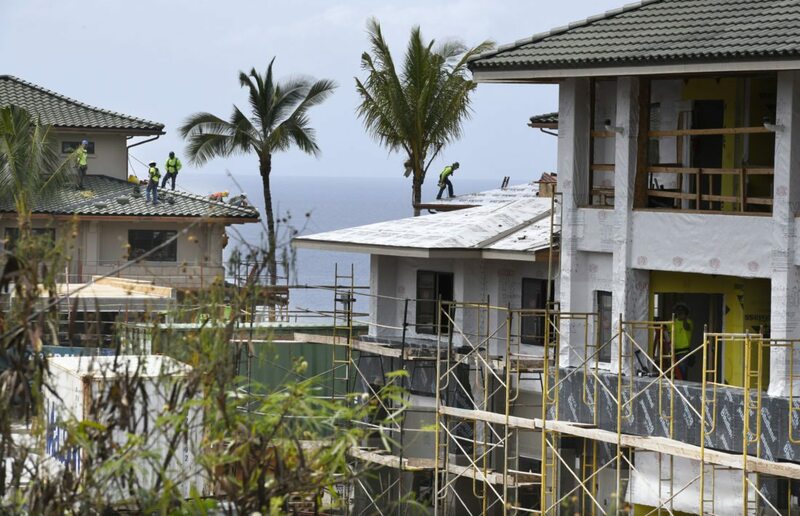 Oahu’s median income jumped nearly 11 percent in a year, according to new federal housing guidelines. Earning $93,000 per year sounds like a hefty salary, but not in Honolulu. New federal guidelines now consider an income of up to $93,300 to be low-income in Honolulu for a family of four. The city of Honolulu published the new income levels Monday showing the city’s median income grew to $96,000 — more than a 10 percent jump from $86,600 last year. “Based on past experience — I’ve been doing this over 20 years — I don’t remember encountering such a large bump in the income limits,” said Kevin Carney, who works for the nonprofit housing developer EAH Housing. He said the changes likely mean that more people will be eligible for income-qualified units, but rents may rise. The new guidelines say a salary of $65,350 or less in Honolulu is now low-income for a single person, and a salary as high as $123,200 is now low income for a family of eight. The Department of Housing and Urban Development calculates the data based on the census and inflation and considers salaries 80 percent or below the median to be low-income. The numbers are important because they’re used to determine the rent for low-income housing units and the price of new for-sale units mandated by the city. The increase means that people can earn more than before and still be eligible for income-qualified units. It also could allow some developers to charge higher rents for low-income units. Seniors protest rental increases at Na Lei Hulu Kupuna in Kakaako in February. The state reinstituted a rental subsidy in response to concerns. Craig Watase, an affordable housing developer at Mark Development in Kaimuki, said the changes are positive. Watase runs a senior housing complex in Kakaako where seniors recently protested a planned rent increase. Watase is subsidizing existing tenants and said the state recently agreed to subsidize rents as well to ensure existing residents can afford the increase for at least the next two years. He said rent increases in EAH Housing’s low-income rental properties happen every year anyway to account for higher operating costs. The changes could also affect for-sale units built under city guidelines. 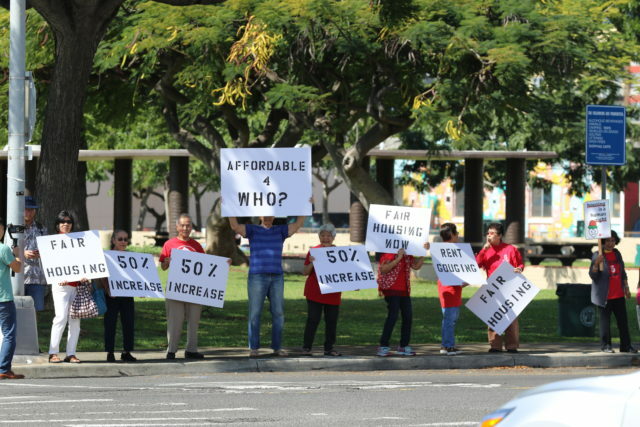 Developers who get rezoning approval in Honolulu must set aside a certain amount of units as affordable, and some can be sold to people earning as much as 40 percent above the median income. The new HUD numbers mean that an individual earning as much as $114,360 could qualify to purchase an affordable housing unit, or a family of four earning as much as $163,280. Honolulu Mayor Kirk Caldwell and the City Council recently approved a new housing policy for some development around future rail stations. The idea is to make sure that new housing in gentrifying neighborhoods isn’t always too expensive for typical Honolulu residents. The new policy allows developers to build for-sale units for residents earning as much as 20 percent over the median income. Now an individual earning as much as $98,020 or a family of four earning $139,960 per year could qualify for these units. HUD issues new income guidelines annually and they vary widely by area. The income limits also affect federal programs like housing subsidies and public housing. Oʻahu– Maui residents, shareholders, and allies present petition at Alexander & Baldwin’s annual shareholder meeting, asking A&B to release 15% of their Central Maui lands as an investment in Maui’s communities to ensure a holistic and sustainable future for the island. The petition, started by Hukilike no Maui: Together for Maui, with over 1,000 signatures asks A&B to sell or donate 5,000 acres of their former sugar cane land to public or private entities to establish small scale agriculture, affordable housing, and managed open spaces. Press conference with Maui residents, shareholders, and allies to follow. 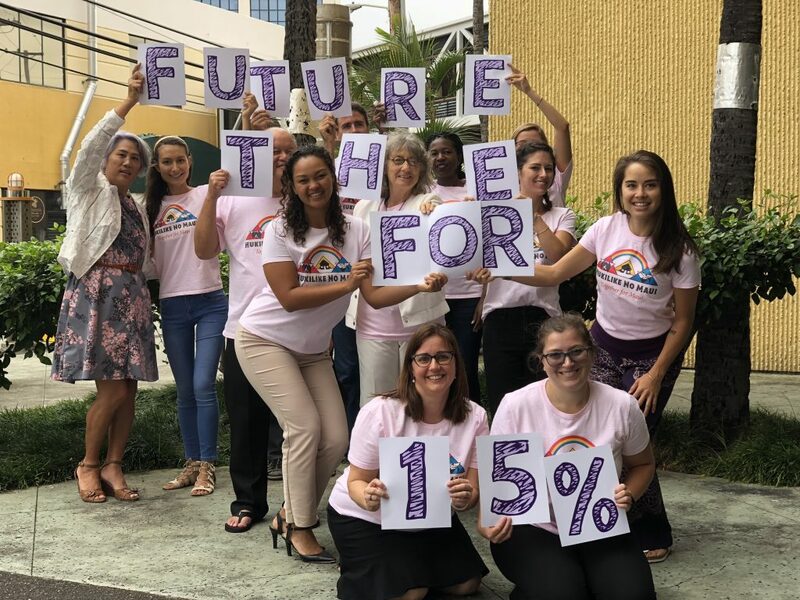 Maui– “15% for the Future” advocates will come together outside the Alexander & Baldwin office in Kahului to demonstrate their support for local food production, affordable housing, and protected wahi pana in Central Maui. VISUALS:Press conference with Maui residents and allies, matching shirts, banners, signs. Hukilike Coalition supporters available for comment. KAHULUI, HAWAIʻI (Wednesday, April 18) — The end of commercial sugarcane cultivation on thousands of acres in Central Maui that are held by Alexander & Baldwin poses challenges but is also tremendous opportunity to address many of the long-standing problems facing the people of Maui. The island’s population continues to grow as tourism reaches new levels, all the while Maui residents are priced out of their homes, the majority of the food is imported, and unique environments and culturally sensitive lands are destroyed or access is denied. Maui could have a very different future, one that meets the needs of its people while continuing to offer its beauty and cultural legacy for the world to enjoy. 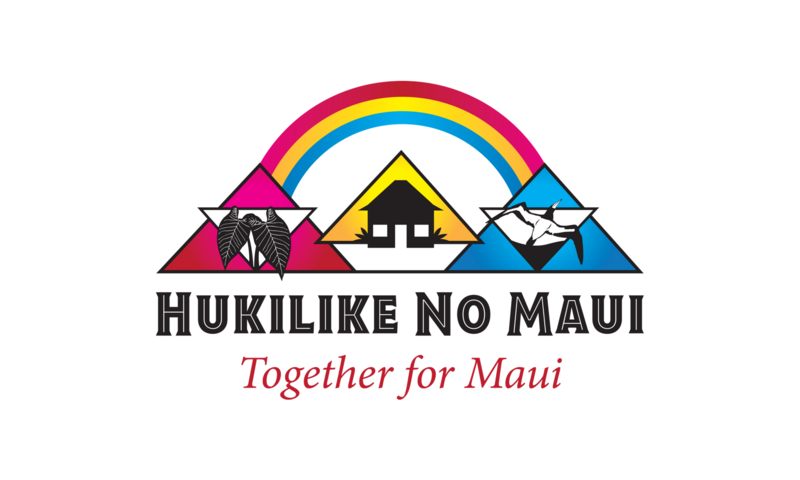 The Hukilike No Maui: Together for Maui Coalition seeks to bring together communities that advocate for affordable housing, small scale agriculture, and conservation to create a brighter future for Maui. The coalition was started by long-time Maui advocates for affordable housing, agriculture, and the environment. While not always seeing eye to eye in the past, the Hukilike partners understand that these problems are interconnected and progress in these areas requires working together to identify land use solutions that meet the needs of the whole community. This requires a new, holistic, and collaborative approach to planning that looks beyond individual parcels and projects and takes into account the long-term and complete requirements for infrastructure, jobs, education, retail, services, and recreation, as well as protecting the quality of our ʻāina, kai, wai, and the integrity of our special places. “All of Maui’s people could benefit if we adopt a sustainable approach to the use of the Central Maui lands. We have an unique opportunity right now to address the needs of Maui’s residents. If we make those changes today, Maui’s future will be so much brighter for ourselves and our future generations,” said Lehua Simon, lifelong Pukalani resident and member of the Hukilike No Maui Coalition. Maui residents and allies will deliver the petition at A&B’s annual shareholder meeting on Tuesday, April 24th, 2018. A “15% for the Future” rally will be held on Maui that same day at 12 pm, outside A&B’s Kahului office at 11 S. Puʻunēnē Avenue. A $225 million tax benefit in the fourth quarter helped major Hawaii retail property owner Alexander & Baldwin Inc. earn $231 million last year that grossly overshadowed an $8 million loss the year before. Honolulu-based A&B announced its latest financial results Wednesday and said the tax benefit mainly related to its conversion last year to a real estate investment trust. The recent federal tax overhaul also would have had a similar effect.